April 12 2011. 50 years ago this very day Yuri Gagarin became the first man in space. This is my own fitting tribute to the 50th anniversary. 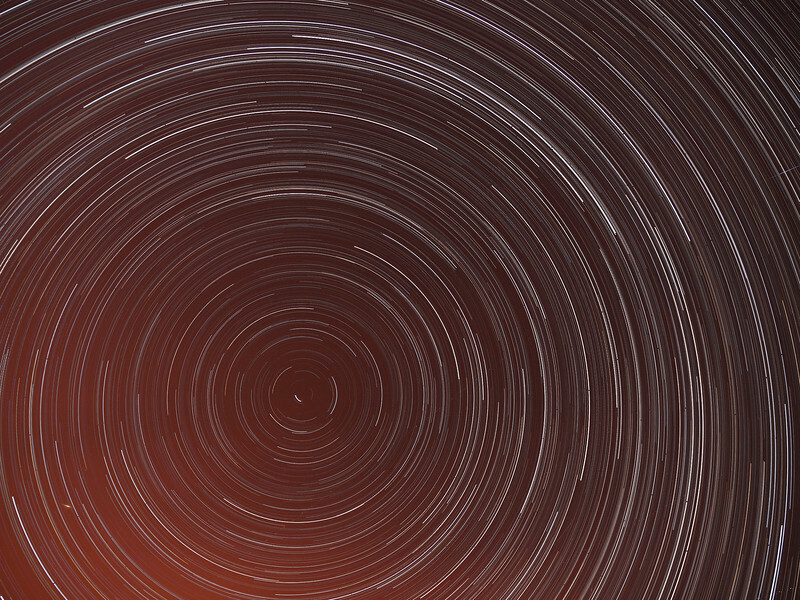 Over 1300 images captured all night to produce this wonderful star trail. Happy Anniversary Yuri :-) Note the 2 meteor trails (at 2 & 7 o'clock), a nice bonus. The red/orange tinge is the result of clouds rolling in. Captured with Olympus E5 and 12-60mm SWD, dew shield (to keep the moisture away) and stacked with startrails software.